Located minutes from I-75, this pet cemetery dedicated entirely to horses is a fun roadside stop for those who need to stretch their legs on a road trip. Hamburg Place Horse Cemetery also has an interesting history. Lexington, Kentucky is known as horse country. 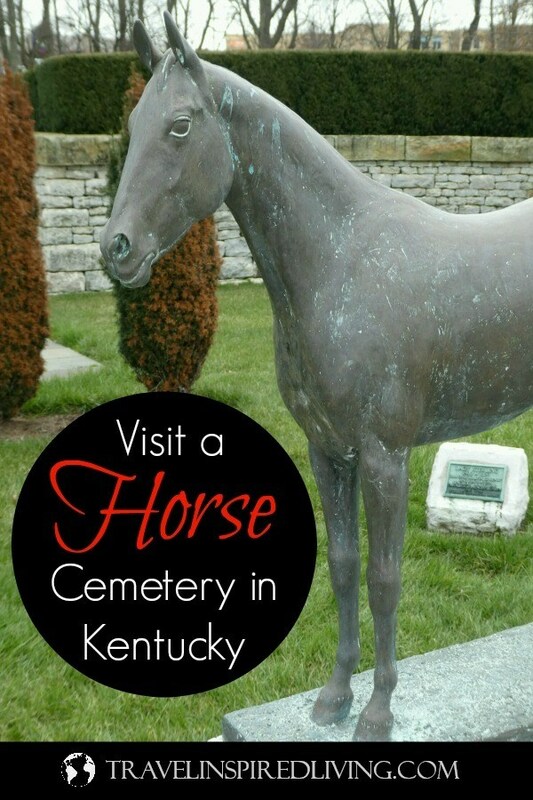 You can drive past beautiful horse farms, visit The Kentucky Horse Park which is known around the world, and explore one of the only pet cemeteries in existence dedicated entirely to horses. A Pet Cemetery for Horses? You Bet. 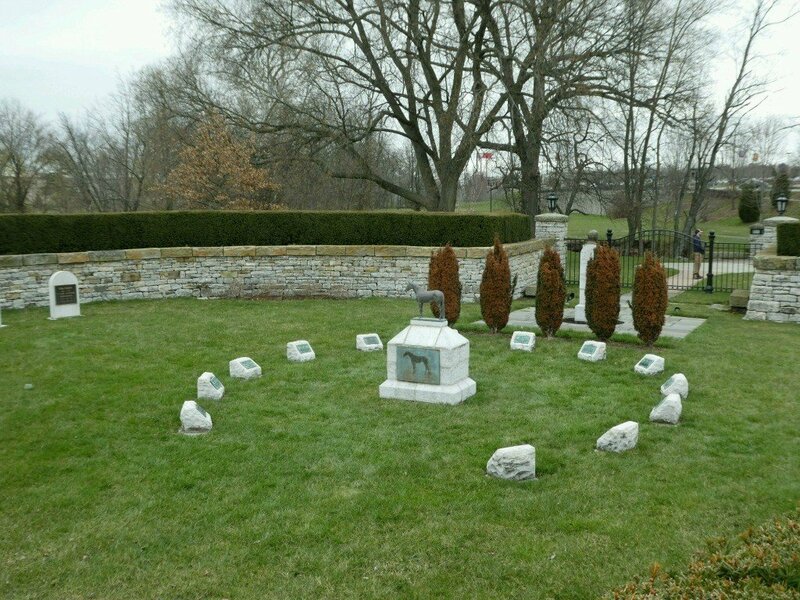 This is one animal cemetery that you won’t want to miss. Especially if you’re traveling along I-75 through Lexington, Kentucky. 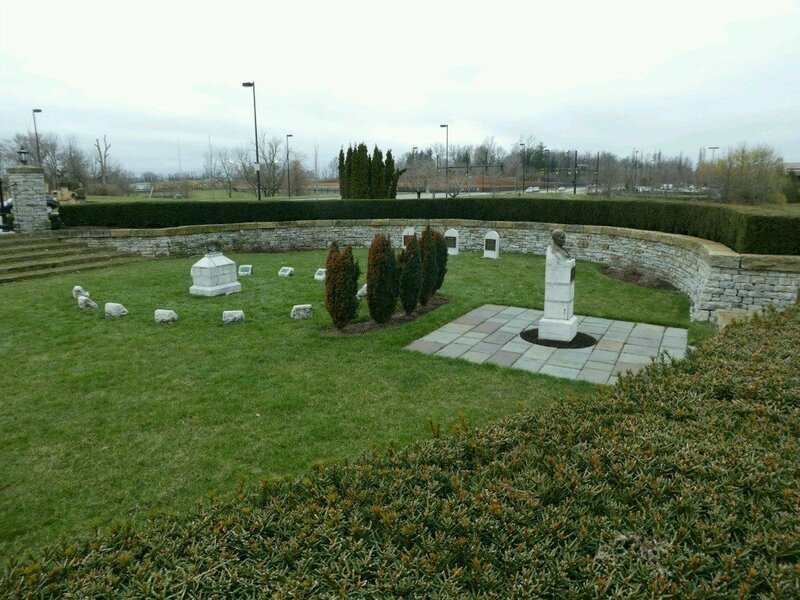 This cemetery was originally located where the parking lot for the big box stores of Walmart is currently found. The property was originally settled by John Madden who purchased the land in 1898. He named the farm Hamburg Place after having sold his horse, Hamburg, to buy the property which at that time encompassed over 2,000 acres. John was known for raising exceptional horses with a proven track record. 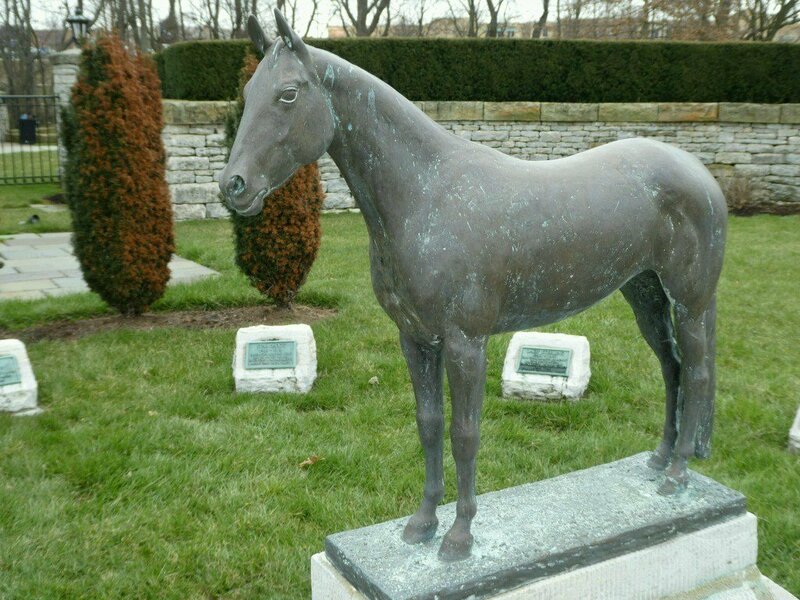 He bred horses that went on to win the Kentucky Derby, Belmont Stakes, and the Triple Crown. John died in 1929. The farm was passed down and remained in the family until it was sold for development at which time the remains of the horses buried in the Hamburg Place Horse Cemetery were exhumed and relocated to the current location a short walk from Walmart’s parking lot. Today, all that remains of the famous horse farm is the cemetery where 18 award-winning horses are buried. The headstones of each of the horses are arranged in the shape of a horseshoe around the grave of Nancy Hanks which is topped with a sculpture of the horse who achieved a world record in 1892 for trotting a 2 minute, 4-second mile. Named after the mother of Abraham Lincoln, the statue of her likeness was created by Charles Cary Rumsey, a popular artist of that time known for his horse sculptures. The smaller headstones bear the names of Old Rosebud, Sir Barton, Alysheba, Star Shoot, and Pink Pigeon and others. 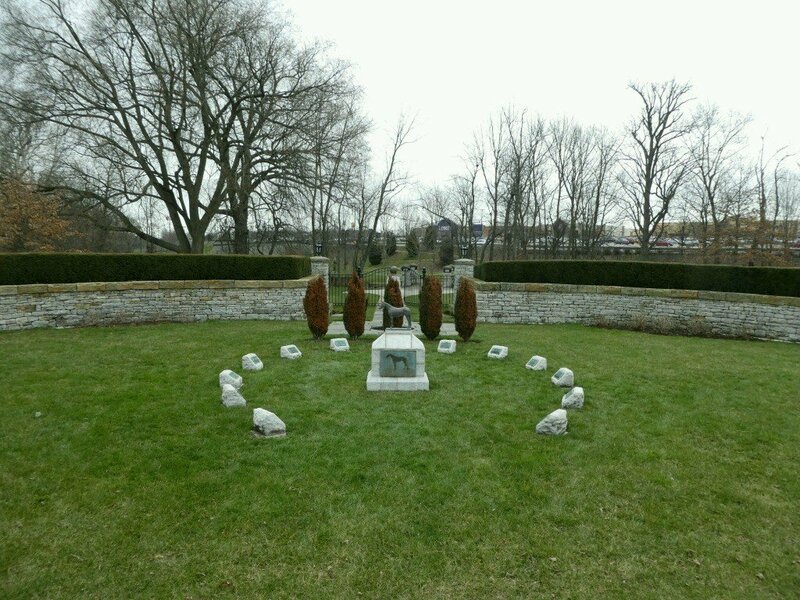 Nearby, you’ll also find a memorial, not to be confused with a headstone, of the founder of Hamburg Place, John Madden standing watch over the cemetery and his prized horses. 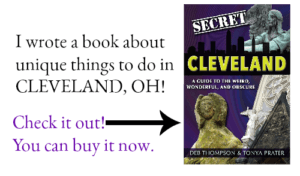 Take exit 110 off I-75 onto US Hwy 60/Winchester Rd. Turn left at the first light onto Elkhorn Road and keep to the right onto Grey Lag Way (unmarked) and follow to the Walmart parking lot. Park at the very edge of the parking lot near the bus stop. 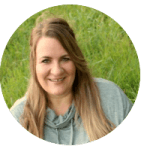 You’ll see a sidewalk across the parking lot by a guardrail. 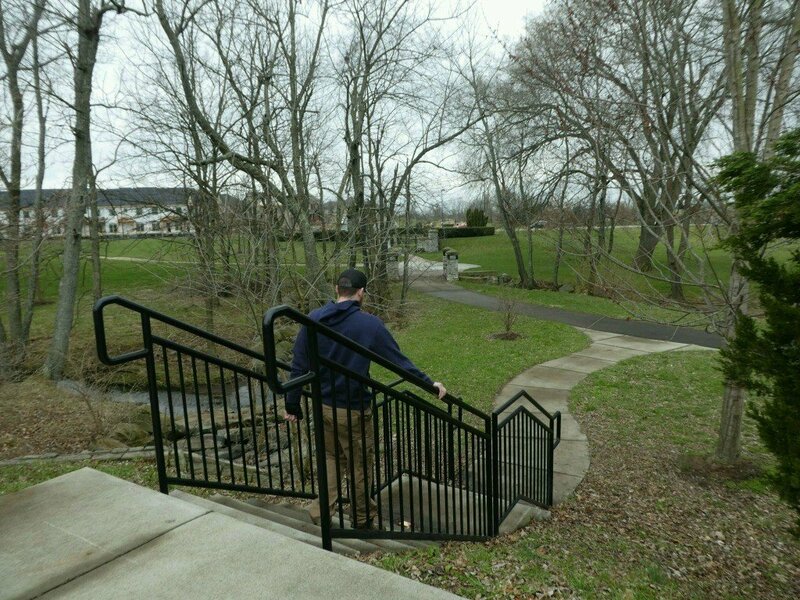 Follow the walkway down the hill, over the creek, and through the trees. You’ll see an iron gate and stone wall surrounding the cemetery. Do you enjoy visiting roadside attractions? What is the most unique stop you’ve made on a road trip? Leave us a comment and share your story below.